Paralysis is the loss or impairment of voluntary muscular power. It can result from either disease involving changes in the makeup of nervous or muscular tissue or those that are the result of metabolic disturbances that interfere with the function of nerves or muscles. Paralysis may affect a specific muscle or group or region of the body or a larger area may be involved. When one side of the body is affected it is called hemiplegia, when both sides of the body are affected it is called diplegia and when only the lower limbs are affected it is called paraplegia. 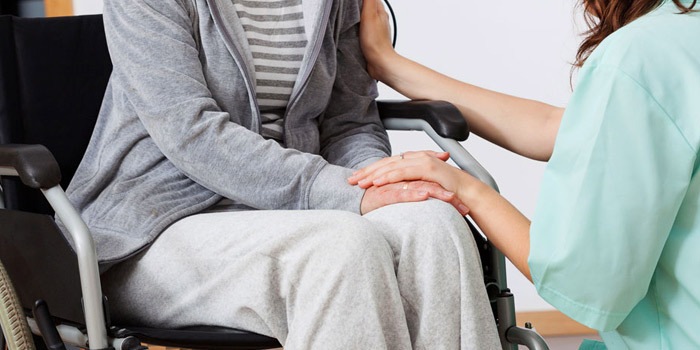 Early symptoms of paralysis include changes in the level of consciousness, confusion, loss or coordination, seizure, changes in vision and weakness in arms or legs on one side of your body. It is most often caused by damage in the nervous system and especially the spinal cord. Strokes often lead to paralysis as well as trauma. There is currently no cure for paralysis itself. In certain cases, some or all muscle control and feeling returns on its own after treatment of the cause for the paralysis. Treatment includes physical therapy, occupational therapy, mobility aids, supportive devices, assistive technology, and adaptive equipment.